If you’ve ever sent a message you didn’t want to fall into the wrong hands, you know how stressful hitting send can feel. Whether you’re sending a personal message regarding matters of health, or you’re throwing a surprise party for a friend, making sure that your message is seen by only the person you’re sending it to can be crucial. Some social media apps have features for a more secure messaging option, like the chat feature on Snapchat. 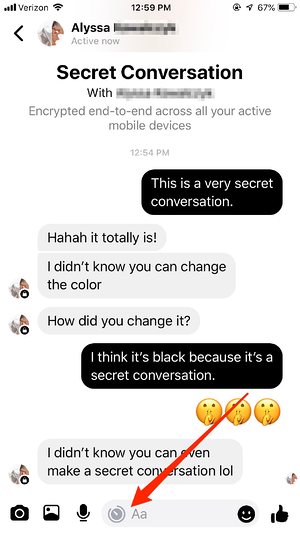 For users who don’t feel comfortable carrying on conversations on Snapchat, there’s the Facebook Secret Conversation feature within Facebook Messenger. It’s easy to do and you have full control over when the messages disappear. Tap the timer icon in the text box to choose when messages disappear. Have a specific question about Facebook Secret Conversations? Head to a certain part of this article. 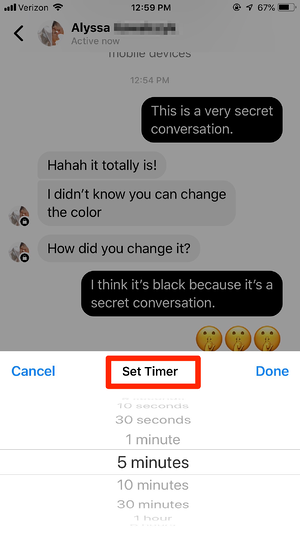 If you want to make sure that only the two people involved in a chat can read texts, then the new Secret Conversation feature in the Facebook Messenger app is the way to go. Not only will your conversation remain a secret from prying eyes, but even the government and Facebook itself won’t be able to access conversations that take place in secret mode. 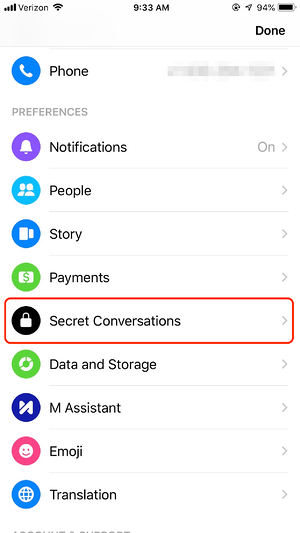 Facebook Secret Conversations are easy to set up and easy to use, so if you’d like to learn more about this feature, keep reading! Before you can have a secret conversation using Facebook Messenger, make sure this feature is turned on. It’s easy to do, and the steps are below. 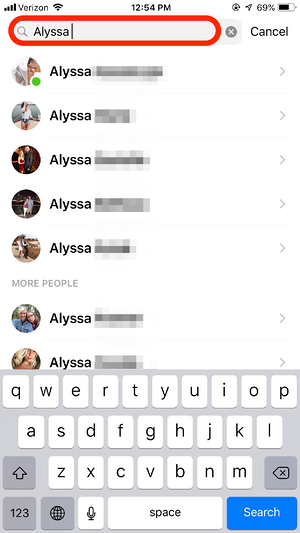 From the home screen of Facebook Messenger, select your profile picture in the top left corner. From there, scroll to the settings for Secret Conversations. If it isn’t already, switch the Secret Conversations feature on. 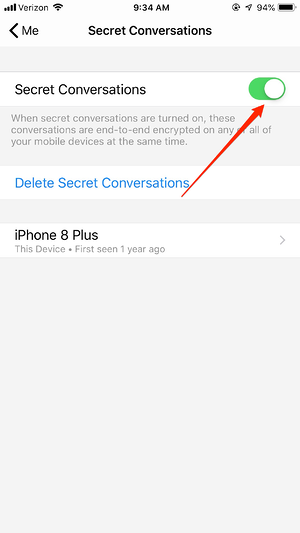 When it is, conversations that take place in secret mode will be end-to-end encrypted on all of your devices at the same time. Once the feature is turned on you can easily start a Facebook Secret Conversation. 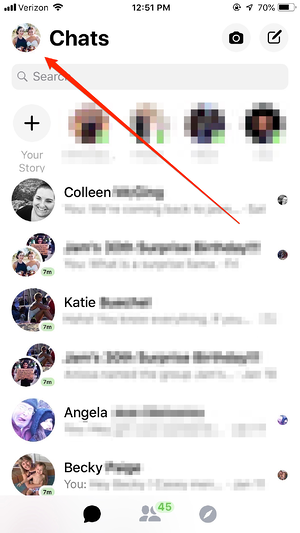 Back on the Facebook Messenger home screen, tap on the square and pencil icon in the upper right corner. From the next screen, select Secret in the upper right corner. Next, use the Search Bar to type in the name of the user you’d like to start a Facebook Secret Conversation with. 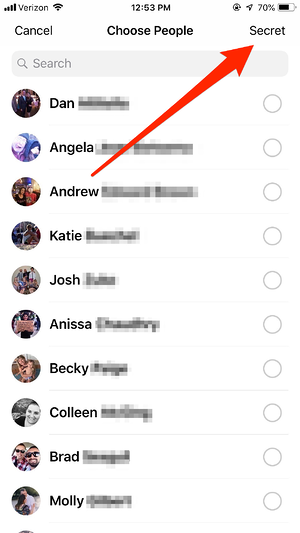 Ones of the ways Facebook Secret Conversations differs from Snapchat is that you’re able to set a timer for when you’d like messages to expire. To do so, tap the clock icon where you would type your message. Choose how long you’d like your messages to appear within the Secret Conversation. When their time is up, these messages will no longer be shown within the conversation. 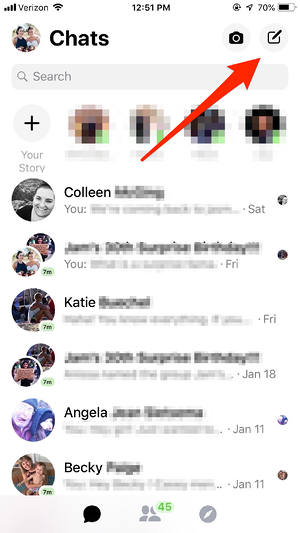 If you’re worried about how notifications from a Facebook Secret Conversation will appear on your lock screen, Facebook Messenger will alert you that you have a message but will not specify who it’s from. Or, find out how to turn off Facebook notifications so this won't pop up in the first place. No matter what kind of Facebook Secret Conversation you’re having, you can be sure that the messages being sent and received are completely classified. If you weren’t aware that this Facebook feature existed, check it out and tell someone your secret. If you're lucky, whatever you say will stay between the two of you. 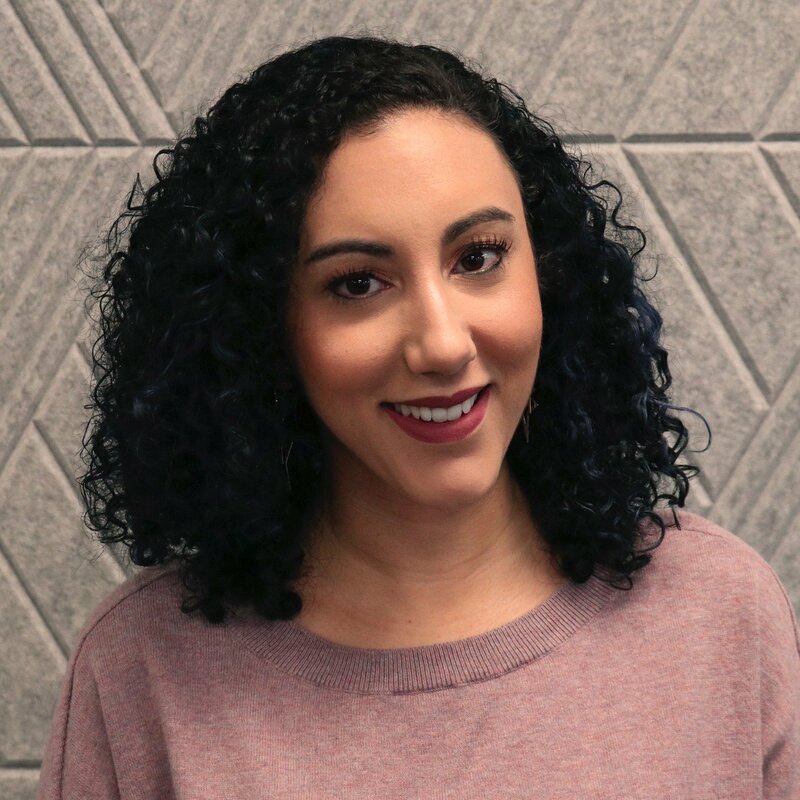 Mara is a Senior Content Marketing Specialist at G2 Crowd. In her spare time, she's typically at the gym polishing off a run, reading a book from her overcrowded bookshelf, or right in the middle of a Netflix binge. Obsessions include the Chicago Cubs, Harry Potter, and all of the Italian food imaginable. What Are Notes Payable and How Do Companies Use Them?